Thats correct. But what about the specific data of the used mic. Would hell to know that to change to another one with better specs. I have two as well. One has broken mic, on the other one data transmission over USB doesn’t properly work. Sure, just let me know. I think I have pretty much any module here either semi functional or pretty much busted. For some things one decide to get that thing repaired, for others one rather tent to go for a new unit. I did repaired bottom modules with broken usb port (see link up in this threat), so if anybody would like to send them to me, I will repair them for free if possible. I only do not want to invest money, so the shipping costs should be covered by sender. If someone have already have the module replaced and want to get rid of the old one I would offer them repaired for free here in the forum. I have just changed the bottom module for the 3rd time (i.e. bottom module no 4 (including the original component) due to malfunction in the mic. Where should I send the broken one for repair? Hi, I have one bottom module with the USB working but the mic failed. May I send it to you? It would be nice if you could repair it and send it back to me. Of course, I would take charge of shipping costs. 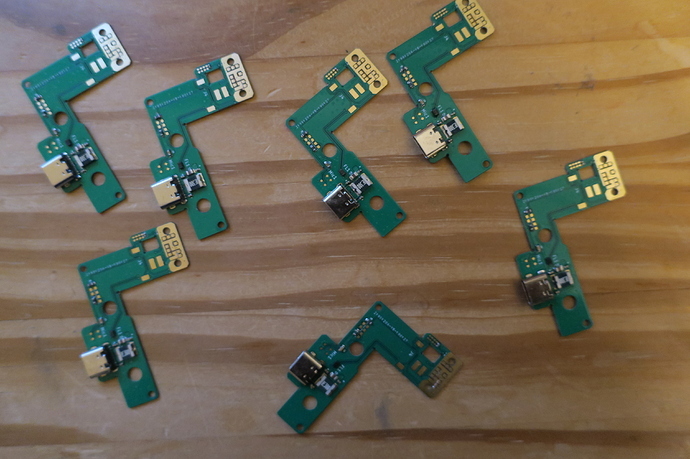 Till now I do not know which specific mic Fairphone used in the bottom module. Maybe @Monica.Ciovica could tell me. If I get to know I will gladly do the repair for you. They used an SMD Mic with internal amp/chargepump. The formfactor is 3.76x2.95. I have a link to a mic I’ve already used succesfully in the bottom module. Thanks for the Infos. I´ll order some, I am sure they wont cost a liver. Did you try loud video recording? As the stock mic from Fairphone like to oversteer very fast. I would like to try a less sensitive one than the original. I´ll give it a try. I have some bottom modules available, where the mic died.